Hi. 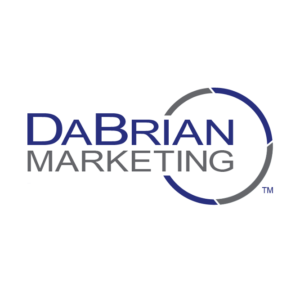 I’m Danny Laws, principal owner of DaBrian Marketing Group. DaBrian Marketing Group is a digital marketing agency. We focus on everything from web design, to social media, Pay per Click, inbound marketing, SEO as well as analytics, and we are Google AdWords partners. Today I want to talk a little about the effectiveness of combining SEO and Pay per Click and how that can impact the business. What’s some of the things I’m going to talk about at a high level specifically come from the Google partner, something that took place in New York about a month ago and I’ve been thinking about that lately as we go into the new year closing out Q4 [Quarter 4], and speaking with a lot of our clients about potential opportunities that combine the efforts of both SEO and Pay per Click to maximize their effectiveness. The other piece of this is the incremental clicks. PPC generates brand awareness. It’s generally at the top of the page. You’ve seen at the top of the page and now you’re seeing it at the bottom of the page. In many cases that generates awareness around a product, an offering, or a brand. Some people, such as myself, won’t necessarily click on that knowing that it has a tendency to cause a customer cost per click. They’re paying for that click. Periodically what people do is simply take that organization and search for them that has an incremental [lift 00:03:55] in organic search queries sometimes by brand name, sometimes by offering and sometimes by service. You’re going to see that incremental lift when you combine Pay per Click and SEO just naturally by people’s own human behavior. The other piece that I mentioned earlier is the data, data everywhere. You’ve got Moz Tools, you’ve got Raven Tools, you’ve got SEMrush, you’ve got Google Analytics, Adobe Analytics, you name it, you’ve got tools for mobile site, browsing tools, you name it, Sitespeed. If you can think of it, pretty much it’s a tool out there. How do we leverage that data? I want to give you one clear example. If you’re running Pay per Click campaigns, you’re running on the display network as an example, the display network allows you to disseminate banner ads in relevant locations within Google’s networks that resonate with your target audience, and in some cases, you’re going to see great results. Are you positioned well enough from an organic perspective and a paid search perspective? Are you leveraging just low-hanging fruit, meta-descriptions? Do you have geography, geography tags in there in some cases? Do you have site links in your Pay per Click? Do you have price extensions in your Pay per Click specific to the local market in that local offering? Do you have the map component associated with your local listing; your name, address, phone number? Do you have those elements consistently showcased on your paid search ads and on your site from a content perspective, as well as a metatag perspective. Are you leveraging rich snippets? Anything that you can do to maximize that reach and visibility from a local perspective is mission critical for your business in order to make sure that you’re getting people from your own backyard and capturing those opportunities that are most cost-effective.